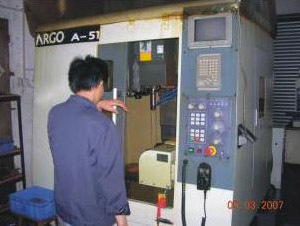 Our factory was established in 1991. We have our own engineering team to support, together with advanced production equipment, and we believe we could satisfy customer's needs in every aspect like parts design, sampling and subcontracting. Precision High Speed CNC subcontract centre - three, four & five axises, CNC milling machine, CNC latha machine, grinding machine, colored optic laser machine. The above application can be founded in various industries like metal, leather materials, plastic, electronic components like IC, coloring on watch case & watch dial, and stone setting.